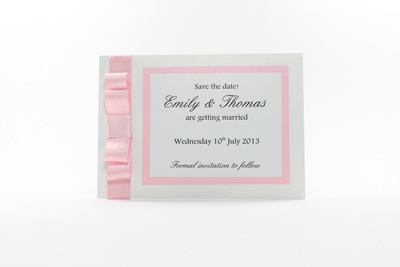 Beautiful Beau is a simple yet sophisticated collection of wedding stationery. 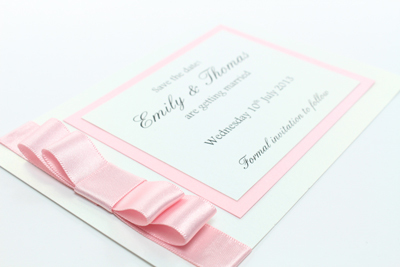 The save the date example shown is made using Dolomite and Rose pearlescent card and Azalea satin ribbon. and to order using product code STD10.